The acute onset of hearing loss of 30 dB in three contiguous frequencies which may have occurred instantaneously or progressively over several days. Patients often describe a numbness or blockage as opposed to an obvious hearing loss. The incidence is 5 to 20 per 100,000 patients per year. Untreated, spontaneous recovery has been reported to range from 30-60%. While a viral or microvascular aetiolgy is proposed, it is essentially a diagnosis of exclusion: cerebellopontine angle tumours, auto-immune disease, multiple sclerosis (MS), infectious aetiologies, intralabyrinthine haemorrhage, perilymph fistula and Meniere’s disease must be excluded. Poor prognostic factors include a severe, flat pattern to the hearing loss and associated vestibular dysfunction. SSNHL is an otologic emergency which requires prompt diagnosis and institution of management in order to optimise the chance of recovery. The patient must be thoroughly informed as to the limitations of current treatments. There is evolving evidence that a subset of patients may benefit from intratympanic steroids. Bilateral sudden sensorineural hearing loss is much rarer, but is more likely to be associated with significant systemic disease. 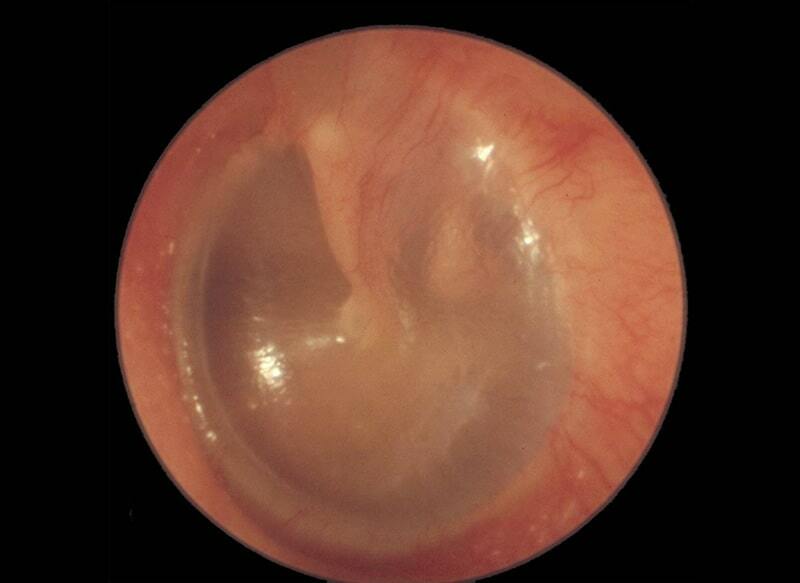 Examination shows a normal ear. Consideration must be given to hearing rehabilitation. Assistive listening devices and hearing aids are useful when there is measurable hearing. BiCross or a bone anchored hearing aid, BAHA is an option when there is a residual severe sensorineural hearing loss. It provides the sensation of binaural hearing in a majority of cases by re-routing a signal to the contra-lateral ear. The other option is cochlear implantation. This allows stimulation of the damaged cochlear allowing true binaural hearing, and is especially useful if tinnitus is a particular problem.